I’m a huge fan of music and every year I post my favorite albums of the year. You can see my honorable mentions and favorite albums of 2013. Since we’re halfway through the year, I thought I’d share 5 albums that I am digging right now (in no particular order). You can see all the albums I’m digging for the year on my spotify list here. The list is definitely more melancholy and serious than my normal tastes. Part of that is getting older and the main part is I’ve been doing a ton of writing this year on my book, so I need the quieter stuff. What are your favorite albums of the year so far? I am so excited for Paul to teach this song on Sunday. I have been digging this song for over a year. Listen to it and come ready to sing. If you like this song and are looking for some great worship music, check out Daniel Bashta’s albums (the guy who wrote this song): The Invisible and The Sounds Of Daniel Bashta. So, so good. My brother-in-law is in a killer band called We Are Voices. This is their latest song “Loneliness.” Be sure to check them out. On Sunday, Paul taught a new song, “Mighty Warrior” that is kind of a theme song for our series Fight. If it’s new to you, give it a listen and come ready to kick this week’s service off with it! It’s that time of year again, the time to share my “best of” lists of the year. It started with the top sermon downloads from Revolution Church, then my almost best books & almost best albums of the year. Then I shared my favorite books of 2013. Today is the last list: my favorite albums of 2013. This band is just incredible. It’s too bad they can’t stand each other. Still an incredible album. 3 incredible EP’s from this Ryan O’Neal. So good. This album took some time to grow on me, but now I love it. Definitely a good step from their last album. I could’ve paid $8 to see this band in Tucson over the summer, but didn’t. Still kicking myself for that because of how great this album is. So much heart in it. Just discovered this band. Wow. I’ve been a fan of Andrew Belle for a few years. This is his best and most ambitious album yet. According to the Seattle Times, “Hey Marseilles is a contender for a local rock band to break out in a significant way in 2013.” This album is that good. This album is higher on a lot of other year end lists. I think because of my high expectations, it hurt this album. Still good, but not as good as I hoped it would be. Katie and I saw Sigur Ros in April. If you can ever get to their show, you need to. Wow. This album is off the charts. This is such a good album. It would be #1 if not for how good the next two are. Not quite as good as High Violet, but such a good album. In fact, until I heard the next album, this one was #1. I can’t believe this is the debut album for this band. So, so, so good. How’s my list? What albums did I miss? What albums did I rate too high? In case you are new to my blog, I love music. My life is rarely silent, whether at home, working on a sermon, in the car, or working out. Music is on. Our family loves music because of this. So, every year I like to look through my music library and share the albums that have been getting the most play in my life. And as it is the end of the year, it is year end list time. If you’re curious which albums I liked last year you can look at the honorable mention list and the top albums of the year. On Monday I shared the top sermon downloads from Revolution Church. Yesterday, I shared the almost best books of 2013. Tomorrow I’ll share my favorite 13 books of the year and Friday I’ll share my top 13 albums of the year. A great follow up to The Year of Hibernation. A really good, introspective album. “She” is so talented. End of story. All of their albums are worth owning, and this one is no different. I went to high school with Denison and have loved his music ever since then. This album is easily his best. I wanted to put this in the top 13 for sentimental reasons, but couldn’t. Normally Matt Redman songs are only good when other people sing them, not this album. I’m not sure what happened. Maybe since he’s hanging around Chris Tomlin more he’s gotten better. Either way, this worship album is incredible. Hard to believe this is only their second album, but it is good. Best way to sum this album up: fun. Good, upbeat fun. Make a good cup of coffee on a cold day, grab a blanket, a book and this album. You’ll thank me. His albums are perfect background music to working, reading or hanging with friends. So good. A great dreamy pop album. I never get tired of this band. Perfect for blasting in the car when you just want to rock out. Every year The Avett Brothers release an album, they make this list. They are that good. Great indie pop record. You will not be disappointed with this one. The second best worship album of the year. Matt Redman was third, this one is second. This is the best worship album of the year. It’s almost the end of the year. If you are new to my blog, you may not know that at the end of the year I share my favorite albums and books of the year. You can see pasts lists here. 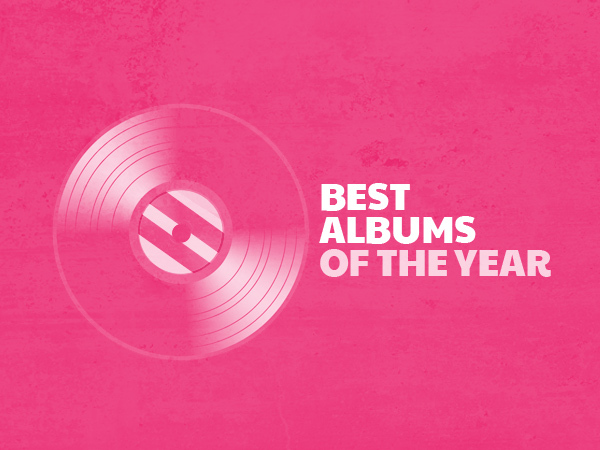 Before giving you my list of favorite albums of 2013, I’d love to hear what were your favorite albums of the year. Unlike the book list, to make my favorite albums of the year list, it must be an album released in that year (ie. 2013). So, in the comment section, fire away and share with us your favorite albums of the past year. I’ll share my list next week. Here’s the video of the song the band did after my sermon today. Amazing moment today.